WASHINGTON -- A burst of hiring in April provided a reassuring sign for the U.S. economy, reducing unemployment and bringing a broader gauge of the job market's health to its lowest level since the recession began nearly a decade ago. Employers added 211,000 jobs, more than double the weak showing in March, the Labor Department said Friday . The unemployment rate dipped to 4.4 percent, a 10-year low, from 4.5 percent in March. 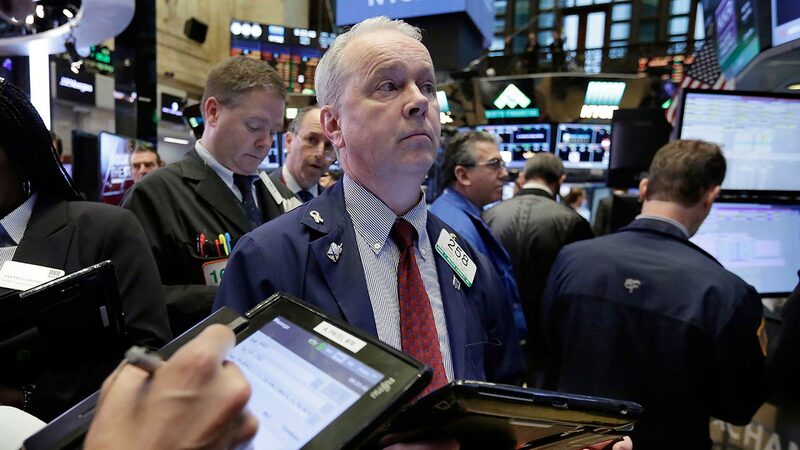 Taken as a whole, the April jobs report suggested that American businesses are confident enough in their outlook for customer demand to keep adding jobs briskly despite a slump in the January-March quarter when the economy barely grew. The jobs report "does increase our confidence that the soft patch in the first quarter is over," Michael Gapen, an economist at Barclays Capital, said in an email to clients. In an encouraging sign, the number of part-time workers who'd prefer full-time jobs has reached a nine-year low. That trend suggests that many employers are meeting rising customer demand by shifting part-timers to full-time work. During much of the economic recovery, the number of part-timers remained unusually high, one reason why steady job growth failed to produce sharp gains in pay or consumer spending. The shift to more full-time work has also helped reduce a measure of underemployment that includes people who aren't counted as unemployed: They are the part-time workers who want full-time jobs as well as people who have given up their job hunts. This broader figure reached 8.6 percent in April, the lowest point since November 2007, just before the recession officially began. In 2009, it had topped 17 percent. That broader measure of underemployment has been cited by President Donald Trump and his advisers as a more accurate gauge of the job market's health than the unemployment rate. In the meantime, employers keep hiring. So far this year, employers have added an average of 185,000 jobs a month, matching last year's solid pace. It shows that so far the job market under Trump closely resembles the one Barack Obama presided over in 2016. Friday's solid jobs report makes it highly likely that the Federal Reserve will resume raising short-term interest rates when it next meets in mid-June. Investors have estimated the likelihood of a June rate hike at roughly 90 percent. Beyond the strong hiring, the economy is showing other signs of health: Sales of existing homes have reached the highest point in a decade. And a survey of services firms this week - including restaurants, banks and retailers - showed that they are expanding steadily. Average paychecks did grow more slowly in April, increasing 2.5 percent over the past 12 months, below March's year-over-year gain. Companies may not yet feel much pressure to raise pay to find or keep the workers they need. Typically, employers feel compelled to pay more as the number of unemployed dwindles. In a strong economy, hourly pay gains tend to average around 3.5 percent. One reason for the tepid wage gain is that hiring was strongest last month in lower-paying industries. One such category that includes hotels, restaurants, casinos and amusement parks added 55,000 jobs, the most of any major sector. Health care, which includes some higher-paying jobs in nursing as well as lower-paid home health care aides, added 37,000 jobs in April. Banking and other financial services added 19,000. Construction added just 5,000 jobs, after much larger gains earlier this year. Factories hired a net 6,000, the fewest for that category in five months. The report adds to evidence that economic growth is rebounding in the current April-June quarter, with some economists forecasting that it could top a 3 percent annual rate, compared with the first quarter's 0.7 percent rate. Last quarter, consumers spent less in part because of low utility bills during an unseasonably warm winter. That's likely to prove a temporary restraint. And the housing market is reaching new heights as home sales and construction march upward even though a limited number of properties are for sale. The retail industry's woes continued last month, with stores adding just 6,000 jobs. That's below their long-run average and comes after retailers slashed a combined 55,000 jobs in February and March. Traditional chains like Sears and Macy's have been shedding jobs in the face of ferocious competition from Amazon.com and other e-commerce companies. Many traditional retailers are rapidly building up their own online storefronts and expanding their warehousing and logistics divisions. But those functions are less labor-intensive and are unlikely to fully offset the job losses at physical stores. Factories have mostly recovered over the past six months from nearly two years of struggle. Plummeting oil prices had caused drilling firms to slash orders for steel pipe, machinery and other equipment. And weak growth overseas, plus a strong dollar, depressed exports. But oil and gas prices stabilized last fall. Growth is picking up in Europe and Japan and has stabilized in China. All that has helped lift factory output.